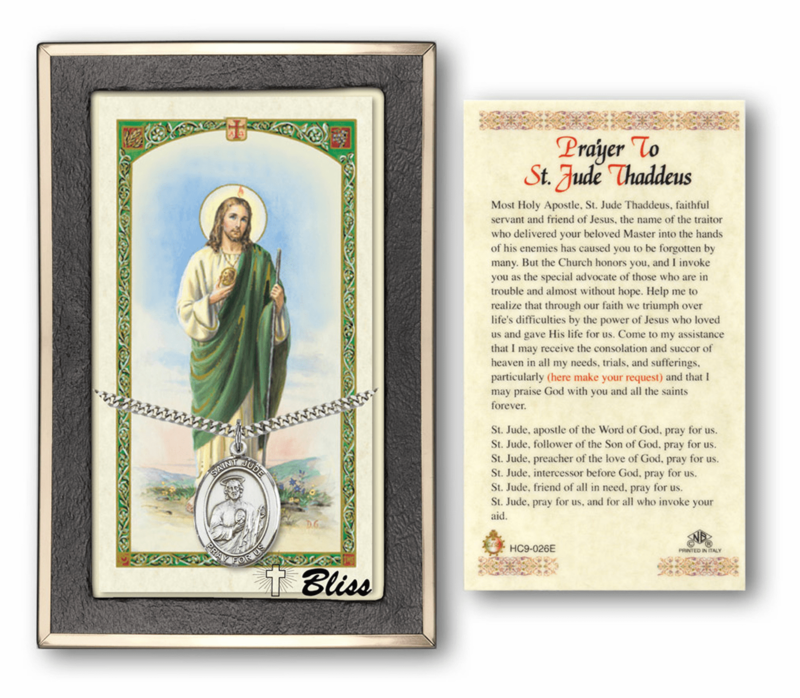 Bliss Silver-filled Large Patron Saint and Protector Holy Cards "More Saints"
Bliss Sterling Silver Large Patron Saint Holy Cards "More Saints"
Pewter Large Saint Medal Holy Prayer Cards "More Saints"
Heavenly Divine Religious Gifts sells a wide selection of quality of paper or laminated Catholic holy cards, icons cards and prayer cards for your spiritual and inspirational gift giving. 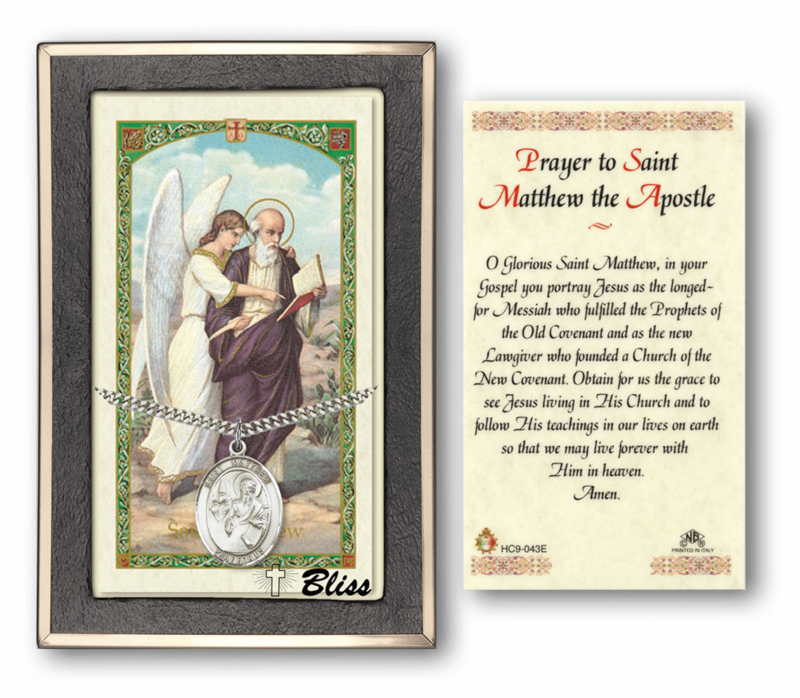 We have a variety of Bliss Manufacturing laminated holy prayer card gift sets with medals, necklaces or rosaries which include the Holy Spirit, Jesus, Mary, Baptism, Confirmation, Military, Sport, Patron Saints, angels and much more. 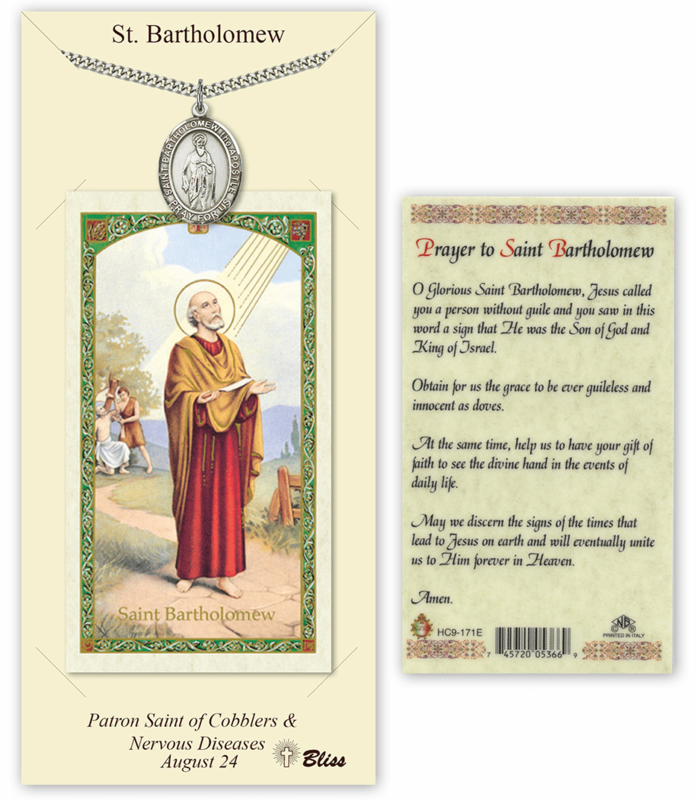 All Christian gift sets come in pewter, sterling-filled, sterling silver, 12kt gold-filled or 14kt gold. 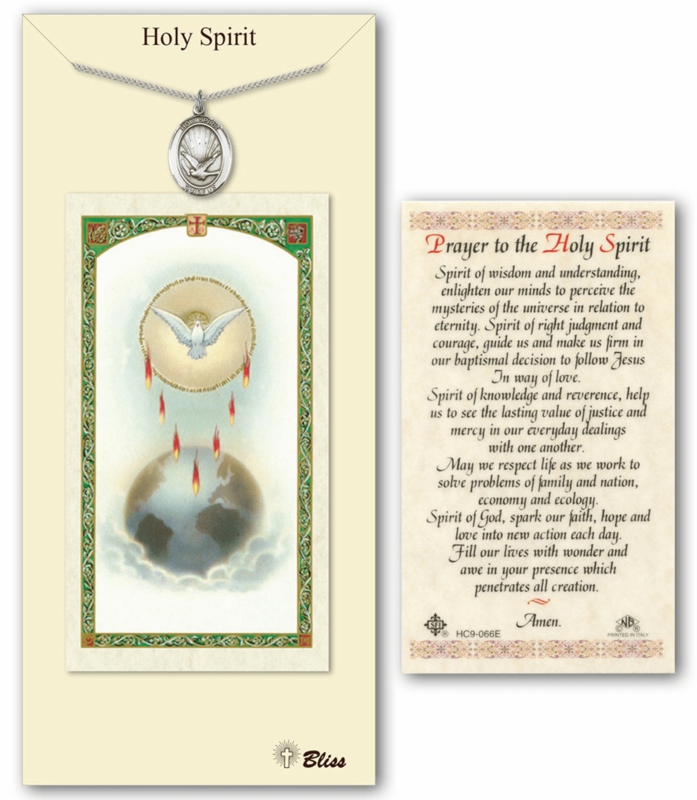 These holy card sets make wonderful gifts for Communion, Confirmation, Birthdays, Christmas and all your special occasions.